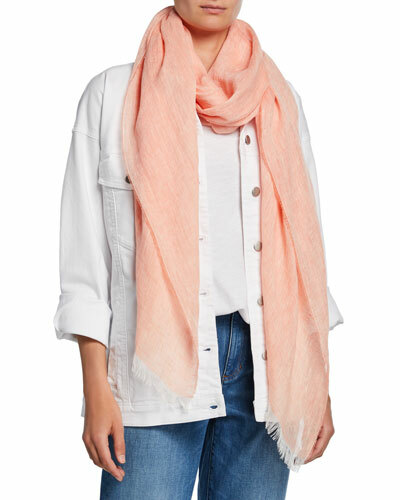 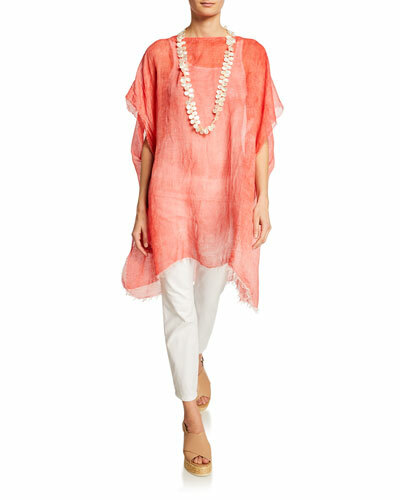 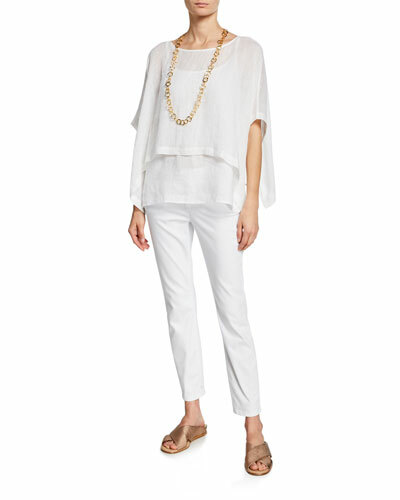 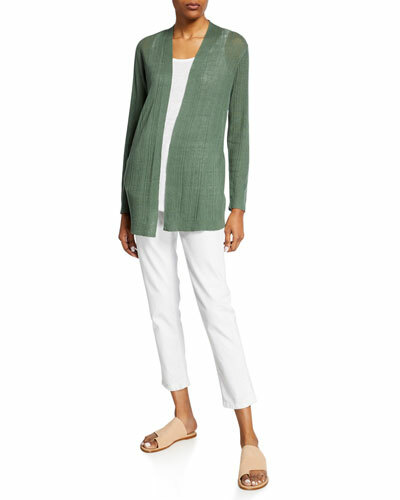 Eileen Fisher clothing effortlessly complements any woman’s aesthetic. 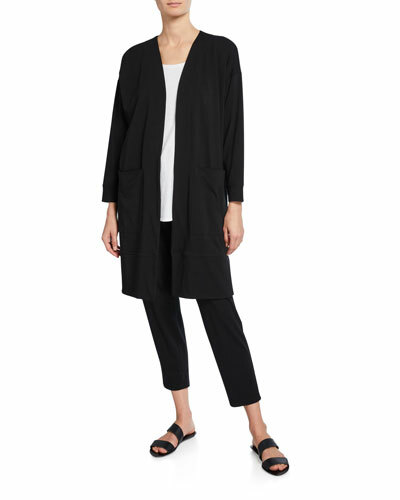 Inspired by timeless, functional style, each piece in the Eileen Fisher clothing collection is versatile and transcends the seasons. 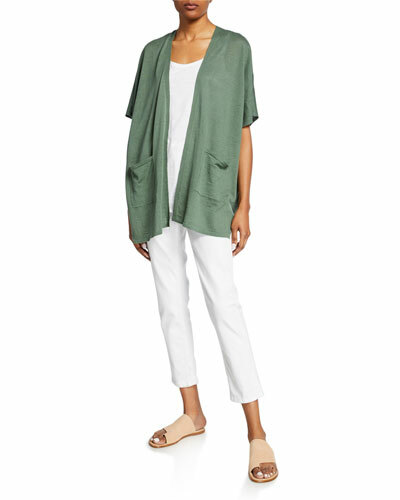 Sustainable cotton made tees make perfect wardrobe staples for warmer months, while merino wool tunics offer comfort and warmth when temperatures begin to fall. 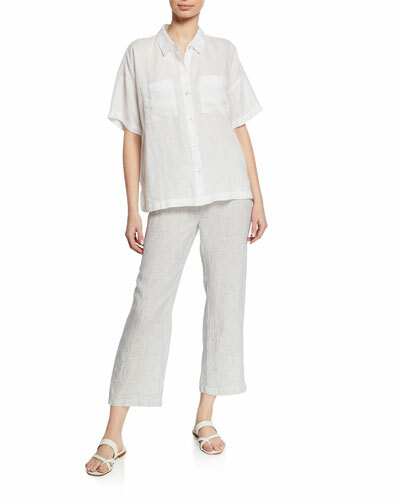 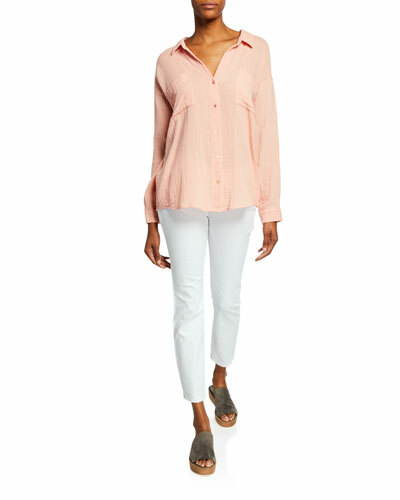 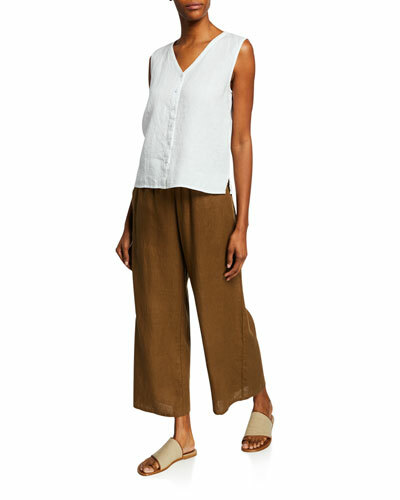 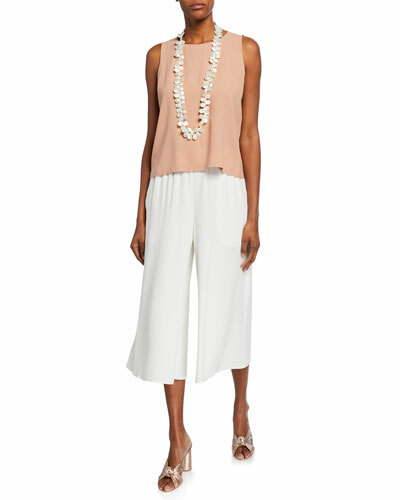 An Eileen Fisher silk blouse pairs flawlessly with boot-cut pants for a day at the office. 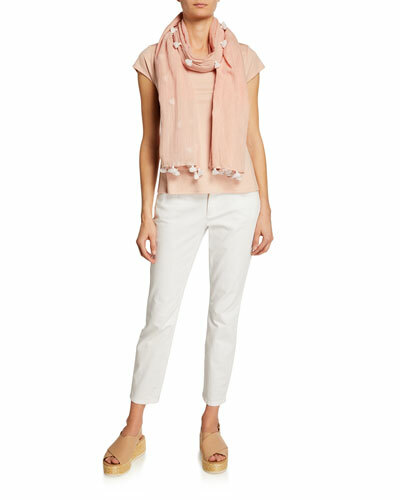 Add heels and a wool wrap to the ensemble and transition seamlessly to an evening on the town. 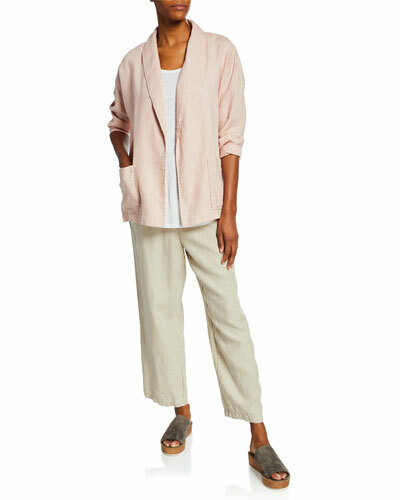 Whether dressing to impress or making a statement with comfortable confidence, Eileen Fisher clothing evokes luxurious simplicity. 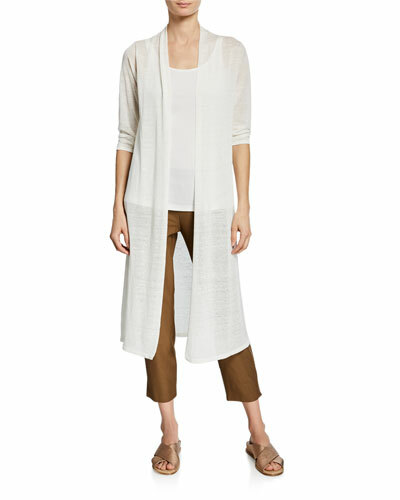 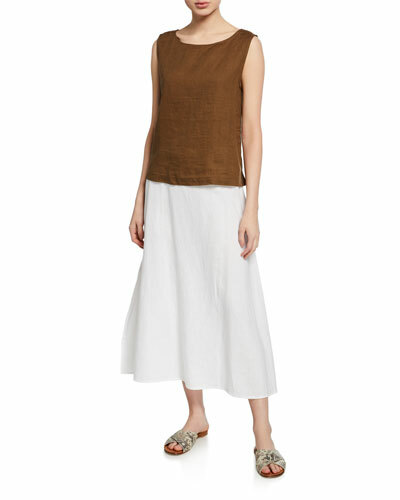 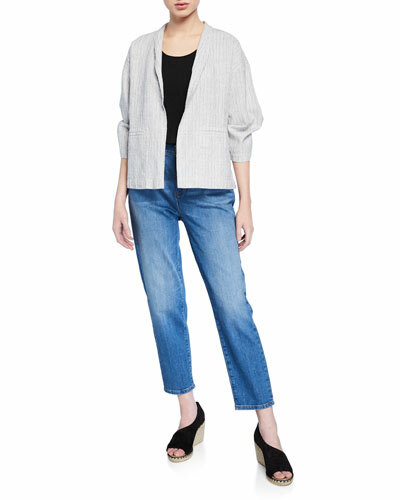 Shop Neiman Marcus, for tunics, jeans, jackets, and more from the always-classic Eileen Fisher clothing collection.